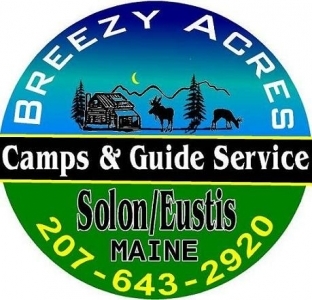 Breezy Acres Camps & Guide Service is a year round family owned business that is built on customer satisfaction. Our cabins are set up for housekeeping with full kitchens, shower, several bedrooms, WI-FI, TV and DVD players. We have 5 cabins in Solon that sleep from 2 to 20 with an additional 2 cabins in Eustis that can each sleep up to 10. We have direct access to both snowmobile and ATV trails from your cabins. 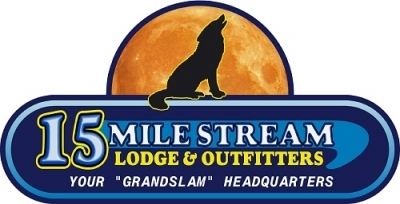 Whether you enjoy fishing, hunting, canoeing, kayaking, rafting, skiing, hiking or just a place to relax we will do our best to accommodate you. We are a 4-season outdoor recreation / lodging facility offering an abundance of hunting, fishing, and recreation opportunities. We offer full and semi guided hunts for big and small game. Our lodge features a full service restaurant and bar, which is your official home for "freakin' good food". We offer clean comfortable cabins accommodating 2 to 12 people. We have direct ITS and ATV trail access and on site gas.